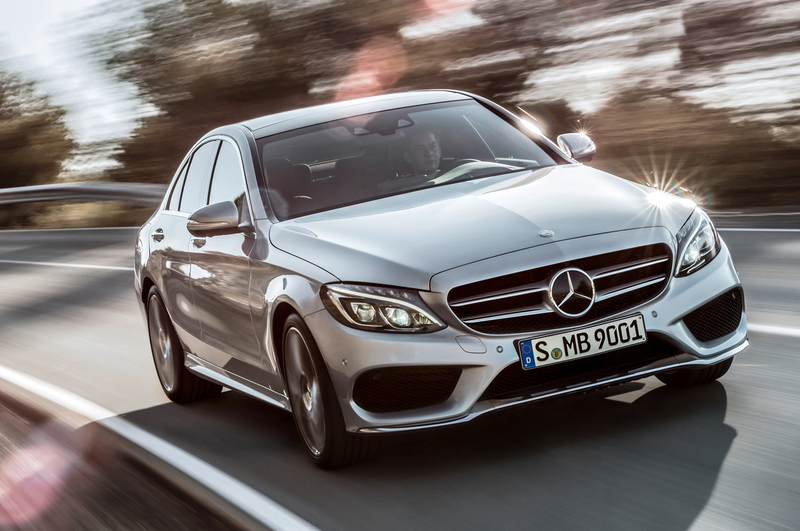 Now in its fourth generation, Mercedes’ bread-and-butter C-Class stands out thanks to a fluid design, more generous dimensions and a wide array of high-tech features gleaned from the S-Class flagship. The C is available as a sedan (detailed here), as a wagon that’s sold exclusively in Europe and as a sleek-looking coupe. Buyers who want a faster version of the C-Class should look at the fire-breathing, tire-shreddingMercedes AMG C63. As before, the C is available with two front end treatments called Luxury and Sport, respectively. Heavily inspired by the S, the Luxury model wears an elegant three-slat grille with a small Mercedes three-pointed star that protrudes from the hood. An innovative smartphone-like touch pad located on the center console lets the passengers control the optional COMAND Online infotainment system with simple finger gestures. Occupants can also use the touchpad to enter an address in the navigation system (if equipped) or to add a contact to the phone book. Alternatively, COMAND Online can be navigated via a controller knob located under the touch pad, voice commands or buttons on the center stack.